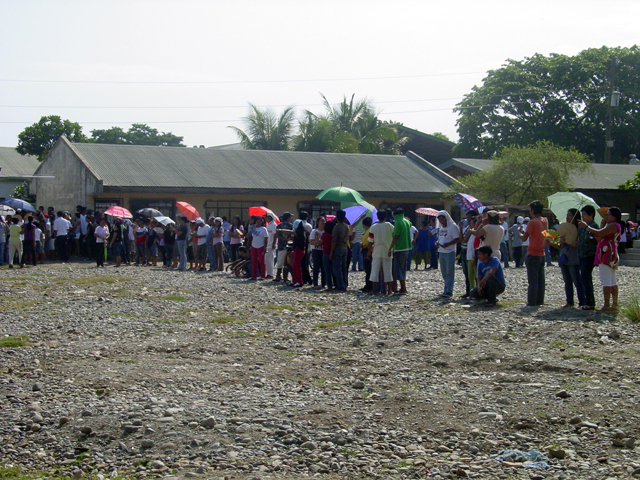 Bangued, ABRA — Voters started lining up outside the poll precincts at West Central Bangued Elementary School before 7 in the morning. At Precinct #1, the Board of Election Inspectors (BEIs) showed that the election paraphernalias are sealed by the Comelec and the black ballot box contained a battery pack and nothing else. At Precinct #2, as of 8:25 a.m., four ballots were rejected by the PCOS machine due of unnecessary marks. In other precincts, people are complaining of the very slow process — from checking the names of the voters to submitting the ballot to the PCOS machine. Some even went home because they cannot handle the extreme heat. 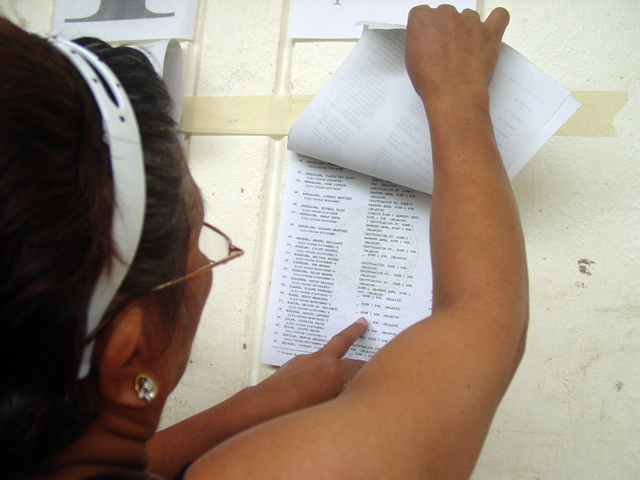 At Precinct #7, BEIs manually collected the ballots. 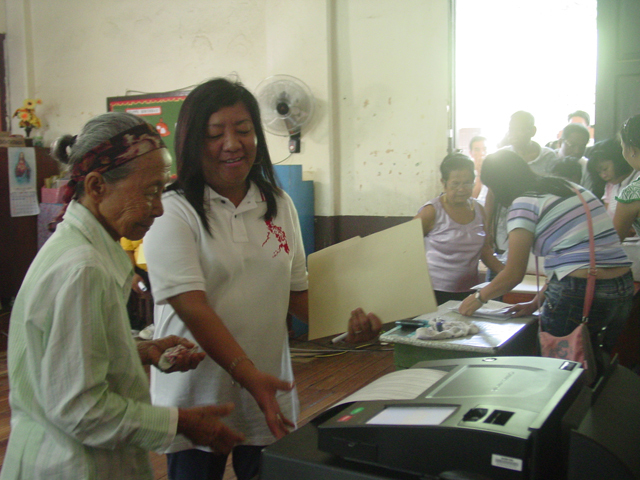 The PCOS machine cannot process the ballots due to defective CF card. The BEI said, they are still waiting for the replacement CF cards to arrive from Manila. 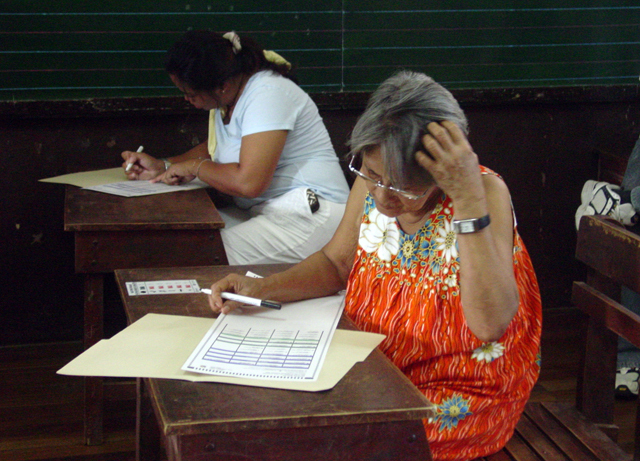 A voter told Bulatlat in an interview that the glitches might disenfranchise the votes.